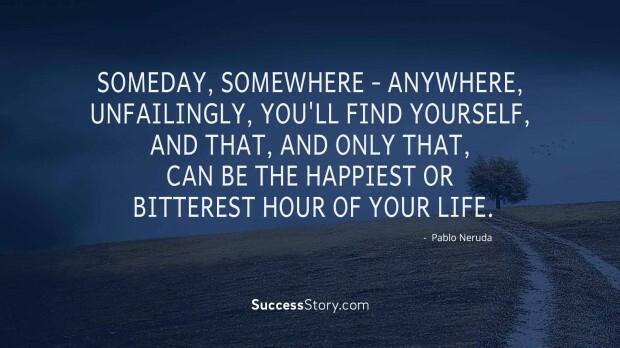 Pablo Neruda, one of the best poets to live on the face of the earth has penned heart-touching poetries and went on to win Nobel Prize in the field of literature. He wrote varying styles of poetry from surrealist content to passionate love poems. Besides poetry he was also responsible for writing various political manifestos and autobiographies. Initially his passion for writing was not supported by his father however, owing to the support of others and Nobel prize winner Gabriela Mistrat he continued writing and published his first work at the age of thirteen. 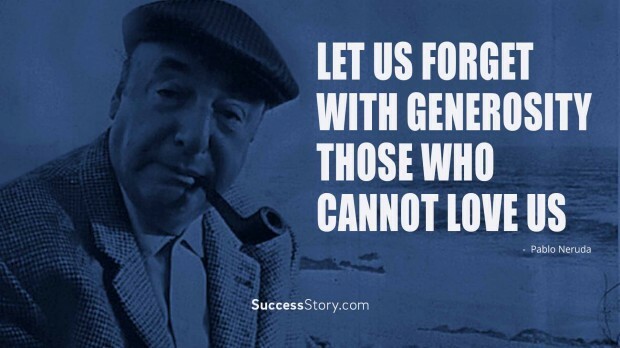 Neruda’s literature is marked with war experiences, subtle romance, praise for nature and many other philosophies. He wrote his literature in green ink as the color green symbolizes hope and desire. 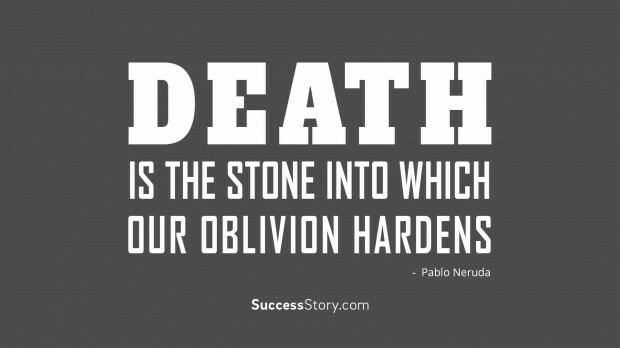 "Death is the stone into which our oblivion hardens." 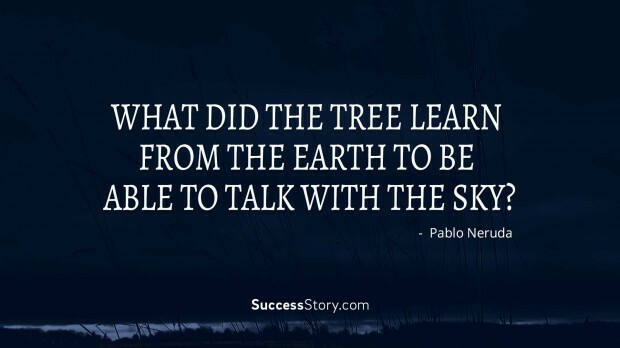 "What did the tree learn from the earth to be able to talk with the sky?" 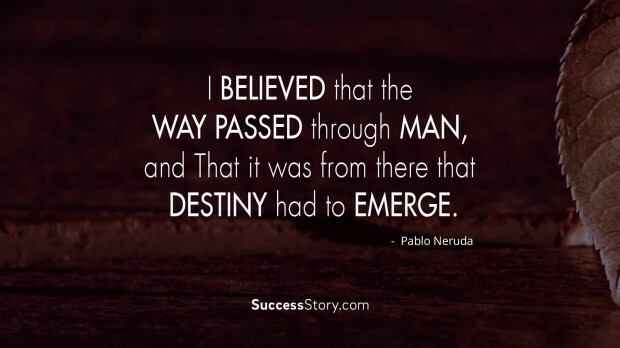 "I believed that the way passed through Man, and that it was from there that destiny had to emerge." 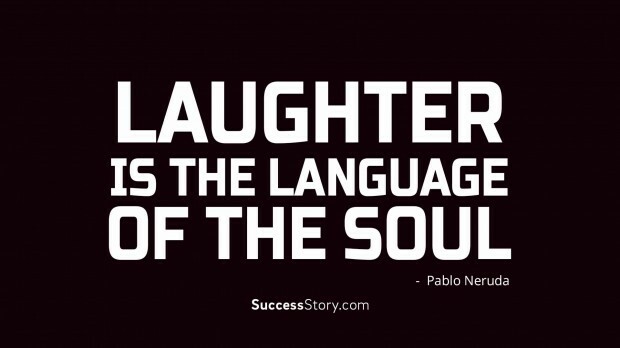 "Laughter is the language of the soul." 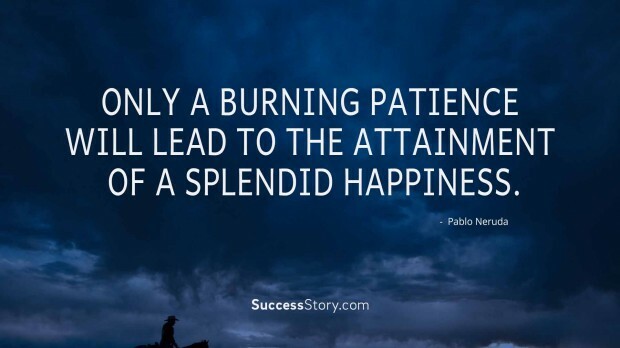 "Only a burning patience will lead to the attainment of a splendid happiness." "Let us forget with generosity those who cannot love us"
"Someday, somewhere - anywhere, unfailingly, you'll find yourself, and that, and only that, can be the happiest or bitteresSomeday, somewhere - anywhere, unfailingly, you'll find yourself, and that, and only that, can be the happiest or bitterest hour of y"
His quotes mainly aim at encouraging masses to follow their heart and strive for success. Some of his quotes based on romance serve as a lesson about how peace and trust can overcome war and bloodshed. 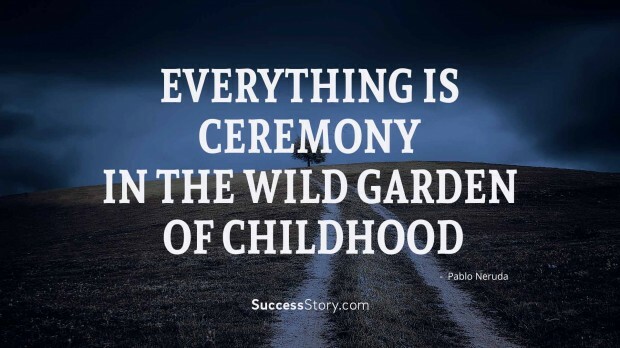 Many of his quotes are also directed toward the serenity and calm that one experiences in the abode of nature. 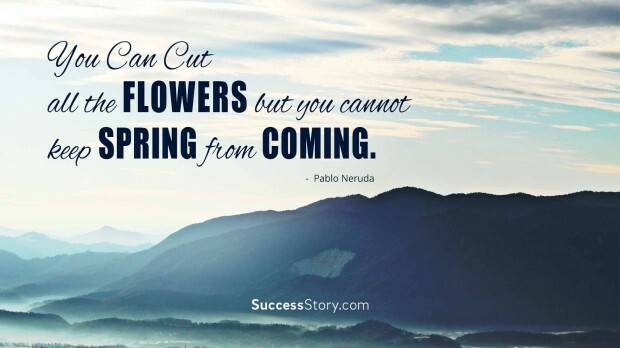 His quotes and achievements are a genuine inspiration for people to follow what they are best at even if they are opposed. 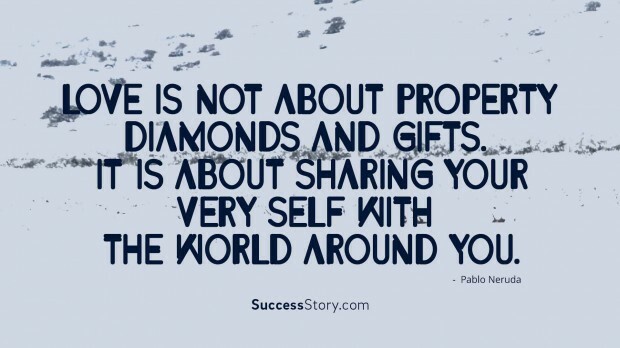 Other quotes of his are a true lesson to cherish and respect others especially nature. 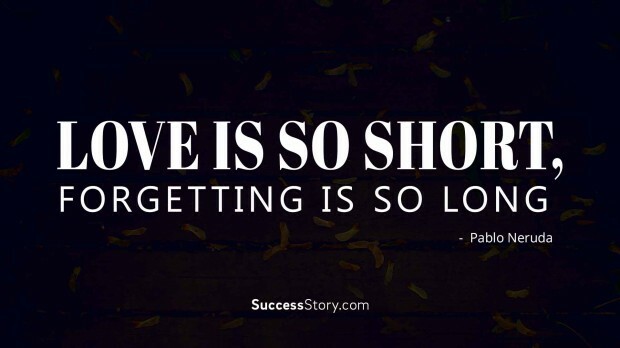 Many of his quotes also emphasize how important love is and how it brings about peace and harmony. 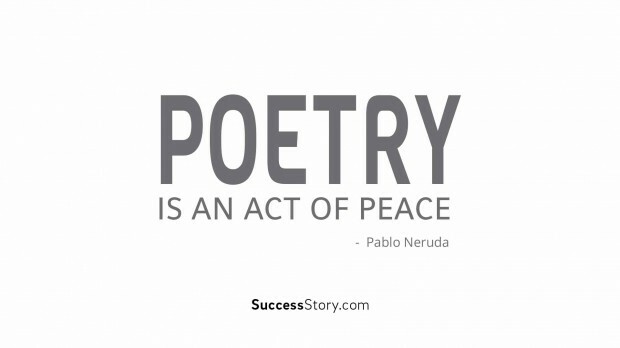 Neruda thus, is deemed as the greatest poet of 20th century.